Pioneer motorist, racing driver, balloonist and aviator – best known as the co-founder of the firm that bears his name: Rolls-Royce. 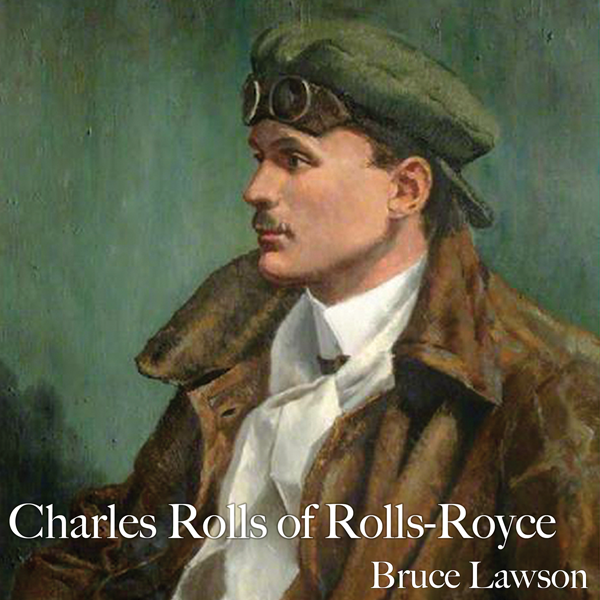 Get your hands on the first audiobook biography of Charles Rolls as a digital download. Only the second biography since 1966 containing over a 100 photographs. The story features leading characters of the day Royce, Johnson, Montagu, Edmunds, Claremont and Lord Northcliffe, together with racers, Edge, Jarrott, Brabazon, Renault, Madame Camille du Gast and Dorothy Levitt. Fliers include the Wright Brothers, Blériot and Harry Ferguson together with the Balloonist, the jovial Frank Hedges Butler. The Ladies in his life include Vera Hedges Butler, Katherine Wright and Mrs May Assheton Harbord. Though a comprehensively researched biography, the book is meant to be fun and is also packed with anecdotes to reflect the spirit and glamour of the Edwardian age.